The project EMPIR Met4FoF has successfully finished its first quarter and has made very good progress and the first 9 months. This post outlines a couple of the early developments and preliminary results. Overall, this first period laid the foundation for a further successful development of the project. During a two-day project meeting at NPL, UK in January 2019, the project consortium made a number of important decisions that pave the way for the next steps in the project. 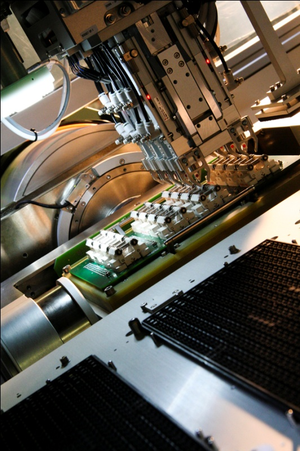 SPEA manufactures Automated Test Equipment (ATE) for testing electronics boards and components, included MEMS. SPEA aims at delivering best in class systems, satisfying the increasing market needs for faster, more accurate and more reliable test of electronic systems. The ZeMA testbed was developed for condition monitoring, lifetime prognoses and end-of-line tests of electromechanical cylinders (EMCs) with a spindle drive. In order to ensure the practical uptake of the project outcomes by industrial end users, a Stakeholder Advisory Board is formed jointly with SmartCom. During the kick-off meeting the first three Letter of Agreement where signed with TNO (Netherlands), SPEKTRA (Germany) and Myna-Project (Italy). Since then a couple more followed and the list keeps growing. 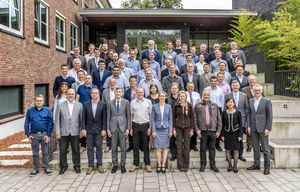 The two EMPIR projects – SmartCom and Met4FoF – held their joint kick-off meeting mid-June at PTB Brunswick, Germany. With almost 80 attendees from all over Europe and partners from Asia, the meeting was a great success and marked the beginning of a very fruitful collaboration.